Imran Md Ali is a serial entrepreneur, and enjoys creating new businesses and making them profitable in the first few months of launch. At age 31, he is the owner of an art gallery, Contemporary Artisans Gallery which he created with less than $1000 and is now, on autopilot with the help of 2 employees, generating a five figure revenue monthly, providing artworks to hotels, serviced apartments and homes as well as for interior designers. Artisan Gallery has been covered in Berita Harian. It took Imran a short 2 months, from conceptualisation of the idea, to launch. Not content with the success of the first business, Imran then created a sports coaching supply company, hiring 3 filipino employees and 6 locals to provide quality sports coaching to the schools in Singapore, called Saga Coaching Singapore. Saga Coaching has been featured in the media twice, once in the Berita Harian and another in The New Paper. This business too, took a short 2 months from idea to realisation and getting the first contracts from MOE schools. After both business were placed on autopilot by hiring and systemising the day to day operations, Imran created another business, called Education Profit Systems, which helped private schools, and tuition centres to better market/brand/position themselves and get more students on a consistent basis. Education Profit Systems too, was launched and closed its first few contracts a few months after launch. Having coached over a 200 business owners for free since 2009 and helping them create comprehensive marketing plans and strategies, Imran decided to set up a business coaching company in August 2013. His income from business coaching prior to August 2013 was Zero dollars, but in his first ever month, he managed to sign on 16 clients, helping him go from zero dollars to $72,000 in the very first month, using techniques many people would call "growth-hacking"
Imran was also Singapore'e representative in the recent Global Entrepreneurship Summit's satellite events, called JUNS, to share his experience on how he leveraged technology to keep on breeding new businesses and running them on autopilot via hiring staff. In 2013, Imran also helped Ladibird, a startup that was creating a DSLR-like lens for the iPhone camera, to get seed funding and backing, via Kickstarter in over 32 countries. In 2015, Imran Md Ali gave a speech at the United Nations Headquarters in New York as well as Mindvalley's Headquarters. Imran's passion is in guiding and mentoring entrepreneurs to get the right foot into the entrepreneurship journey. His forte is in lead generation, sales prospecting, and also face to face deal closing. 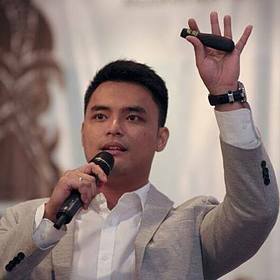 He also travels frequently regionally to deliver speeches and seminars alongside notable names such as Adam Khoo, Fredrik Haren and Fabian Lim.